Jazz may have been born in New Orleans, USA, but the elusive musical style has permeated almost every country around the globe over the past century and has influenced countless offshoot genres and movements. Okay, Hong Kong can claim no significant role in the evolution of jazz, but our city has been home to many a lover of the art form – and it still is. Thus, enthusiasts abound who’ve been craving somewhere to call home. Now they can. 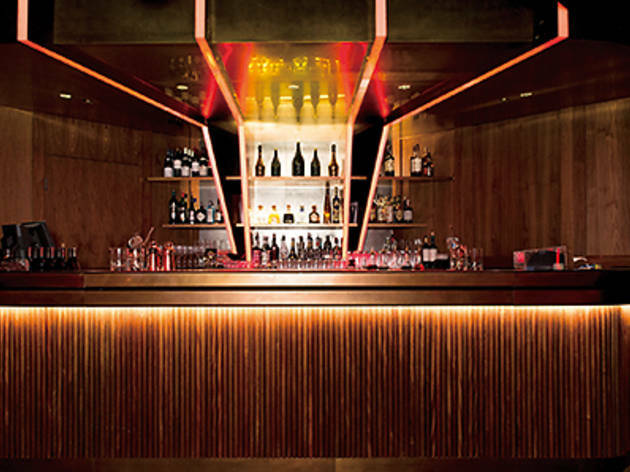 The opening of Studio, a dedicated jazz bar in Lan Kwai Fong, has caused quite the stir. 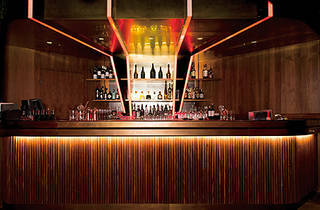 It’s a venture by Maximal Concepts managing director Xuan Mu and – like its club neighbour, Play – this is a sensuous space. Amber lighting snakes across the ceiling and winds down the walls, creating lusciously dim streaks. But the space is hardly the attraction – the drinks and the music are what’s bringing in the punters. A live band plays polished tunes every night after 9.30pm, prompting the bar to fill up pretty quickly. And a quick glance through the drinks menu reveals Studio was designed with high rollers in mind. Apart from 10 special house cocktails, there’s also a fancy 33-year-old Macallan from 1977 going for $85,000 and – get this – there’s a Nebuchadnezzar of NV Armand de Brignac available for $680,000! Unfortunately, though, our budget doesn’t stretch that far but we’re more than happy to try the bar’s rarer spotted cocktails. Liking the sound of ‘earthy, strong’, we start with a Tipperary ($150), a mix of Irish whisky, Mancino rosso amaranto vermouth and chartreuse. But the aroma is too medicinal, like a spiked Chinese herbal tea. And on the tongue it’s worse. The taste is cloying and a little saccharine, with the other ingredients overpowering the whisky. Changing tact for the next round to ‘vegetal, sweet’ is a top move, though. We switch to a Lewis Carroll ($140). Whisky, Mancino vermouth and Angostura bitters abound – this is an old fashioned with a twist and a decent one at that. It doesn’t send us to Wonderland, since it could do with more kick, but after our previous tipple we appreciate that it’s sweet without being sickly. A new jazz bar in Hong Kong is certainly a welcome development, especially one with a promising live band every night. The cocktails could do with a little servicing, however. Care and attention clearly goes into their preparation – but some of the ratios could be tweaked for more satisfying results. However, it’s still worth popping over to Studio to chill out in a sensuous space with an array of relaxed cats. And all that jazz.